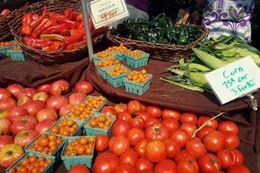 Immerse yourself in Portland’s food culture as you are guided around downtown and the Portland Farmer’s Market. Uncover a world of exciting tastes and flavours on this delicious tasting tour with an experienced guide. 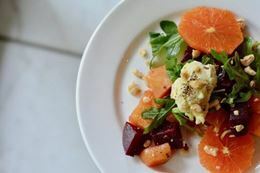 Along with getting expanded tastings, you'll have some time to explore and discover why local chefs consider the Market to be the "heart" of Portland's food scene. 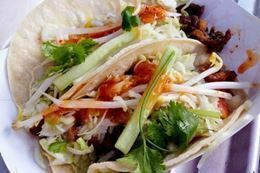 The tour then continues through the Cultural District where, along the way, you’ll check out a few famous landmarks, en route to more delicious food and drink. Chef's whim seasonal salad with a bubbly cocktail. Fried chicken sandwiches with gochujang sauce and pickles. Fresh made pasta paired with a local Pinot Noir. Tasting of local chocolates, including a warm drinking chocolate. 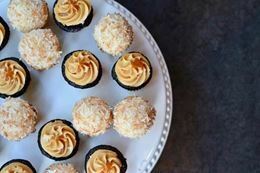 Toasted coconut cupcakes and salted caramel. In-depth Farmer's Market tastings including farmstead cheeses, charcuterie, wood-fired bagels, seasonal pickles, hazelnuts, and more! Participants can expect to walk up to 1 mile. Please advise of food allergies or dietary restrictions when you reserve your tour time. This tour menu can be altered to accommodate non-alcoholic beverage, vegetarians, dairy and gluten-free requests. Not all dietary restrictions can be accommodated on every stop. If you are looking for fun things to do in Portland or the perfect gift for a foodie, the Downtown Portland and Farmer's Market Food Tour is sure to please!